On a recent Sunday morning, and then throughout the week, my two boys asked me to bake muffins – any kind, they weren’t particular. They had been playing a game in which muffins were vital and sought after, and this made them want to devour the sweet little pastries in their real life, as well as on the screen. Heat the oven to 375F. Line 24 mini-muffin pans with paper liners. Sift the flour, baking powder, baking soda and cinnamon into a bowl. In a separate bowl, mix together the oil, honey, and milk with a fork. Pour the wet ingredients onto the dry and gently stir, together with the mashed bananas and chocolate chips. Spoon into the mini-muffin liners and bake for 8 to 10 minutes, or until risen and firm. Heat oven to 350F. 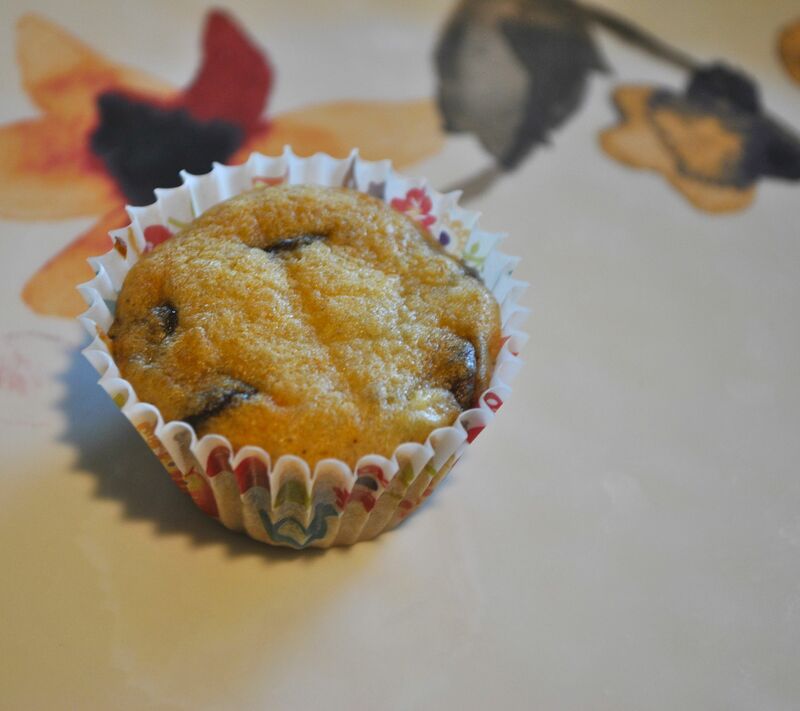 Line two 12-cup muffin tins with paper muffin cups. Sift flour, soda, cinnamon and salt together into a large bowl. Whisk together oil, vanilla, sugar, pumpkin and eggs in a medium bowl. Pour wet ingredients into dry ingredients, and stir to combine. 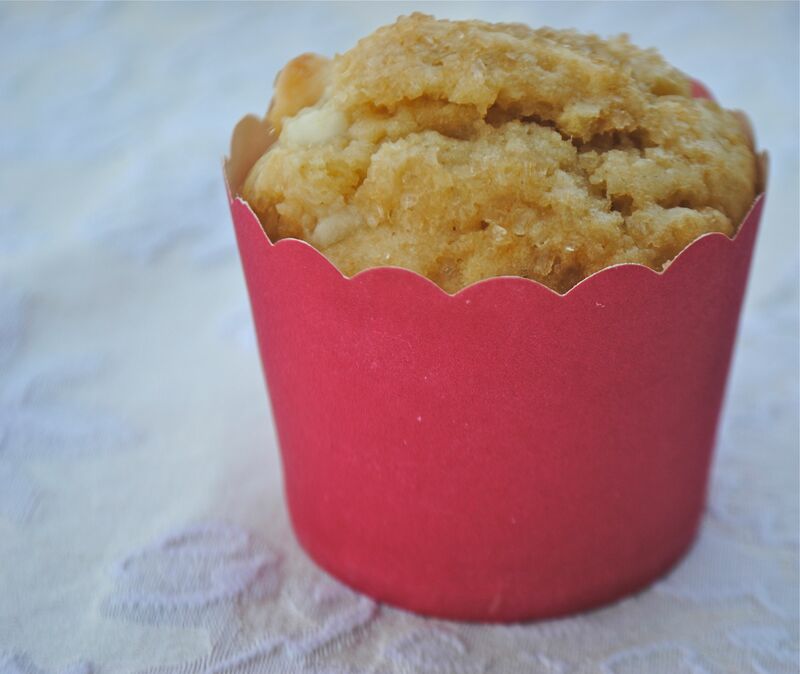 Spoon into paper muffin cups. Bake for approximately 22 minutes, or until a toothpick comes out clean. In a microwave, melt chocolate chips and butter; stir until smooth. Cool slightly. In a small bowl, beat egg and sugar. Stir in vanilla and chocolate mixture. Gradually add flour; fold in chocolate chips. 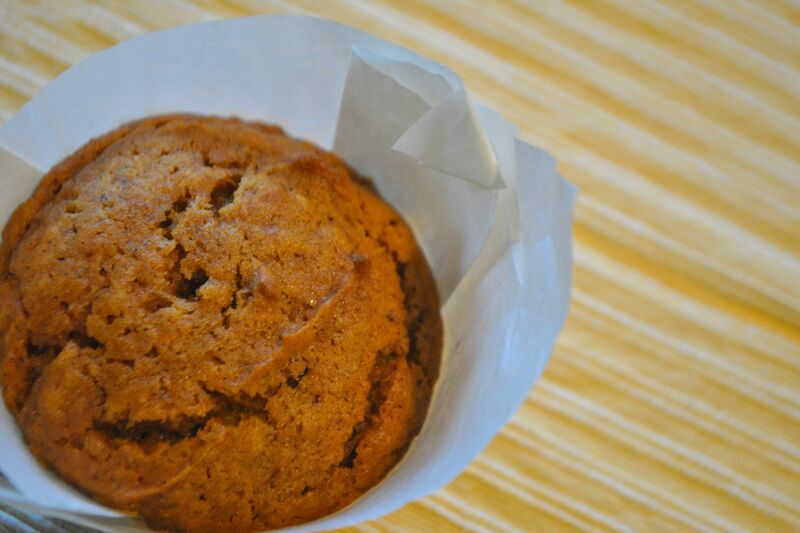 Divide between paper-lined muffin cups. Bake for 20 to 25 minutes or until tops begin to crack. Cool for 10 minutes, before removing from pan to a wire rack. Heat oven to 375F. 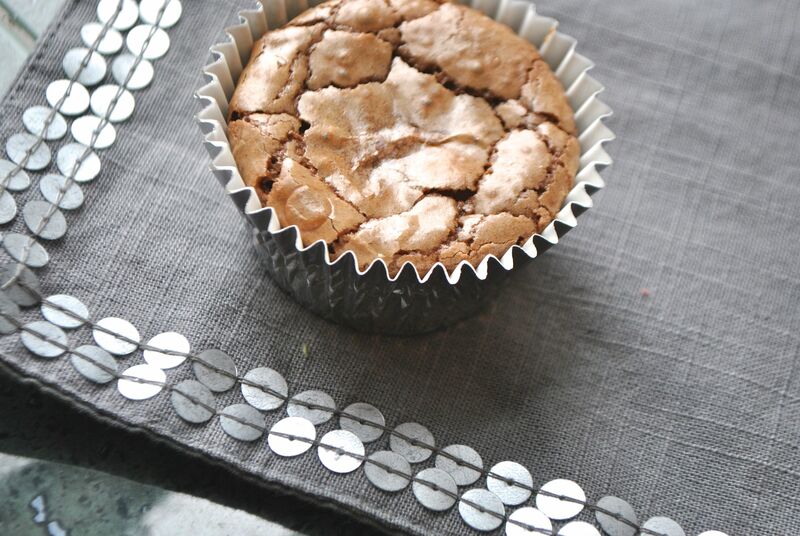 Coat a 12-cup muffin pan with nonstick spray, or line holes with paper liners. Whisk flour, baking powder, salt and nutmeg, in a medium bowl, set aside. Using an electric mixer, beat butter and sugar in a large bowl until light and fluffy, about 4 minutes. Beat in egg. With mixer on low speed, add dry ingredients in 3 additions, alternating with milk in 2 additions, beginning and ending with dry ingredients. Divide batter among muffin cups and bake, rotating pan halfway through, until a tester inserted into center comes out clean, 25 to 30 minutes. Let cool 5 minutes in pan, then transfer to a wire rack. Mix sugar and cinnamon in a medium bowl. Working one at a time, dip tops of muffins in melted butter, then cinnamon sugar. Grease muffin pans, or line with paper liners. In a large bowl blend together dry ingredients, rolling white chocolate chips in the flour mix. In a separate bowl blend all wet ingredients until smooth. Slowly blend together dry and wet ingredients until all the batter is wet – do not over stir. 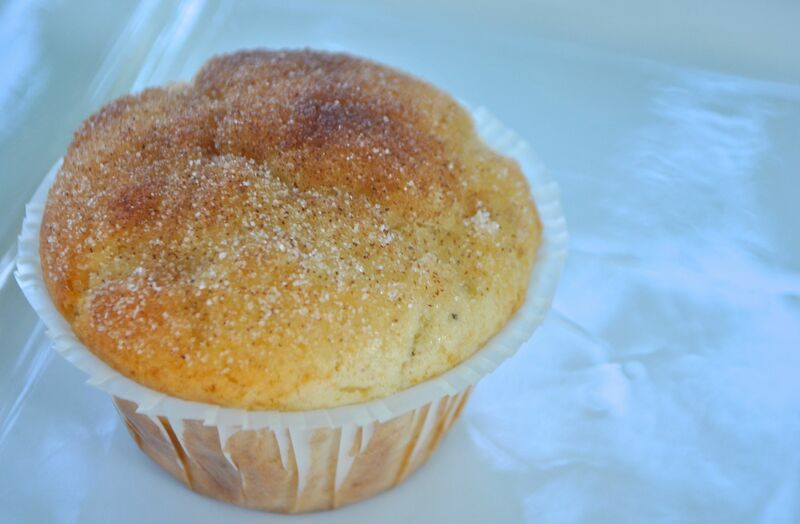 Spoon mixture into muffin pans, and sprinkle the top with sugar. Bake for 25 to 30 minutes until a toothpick comes out clean. Jewels, bright white smiles and sequins won’t be the only things sparkling come the evening of The Oscars. Put a little glitter in your glass with these lively cocktails. In a small saucepan, melt the sugar in 1/2 cup water over medium heat, add thyme sprigs. Let cool. Strain the mixture into a small pitcher, stir in the lemon juice and vodka. Refrigerate until chilled, about 1 hour. Fill rocks glasses with ice. 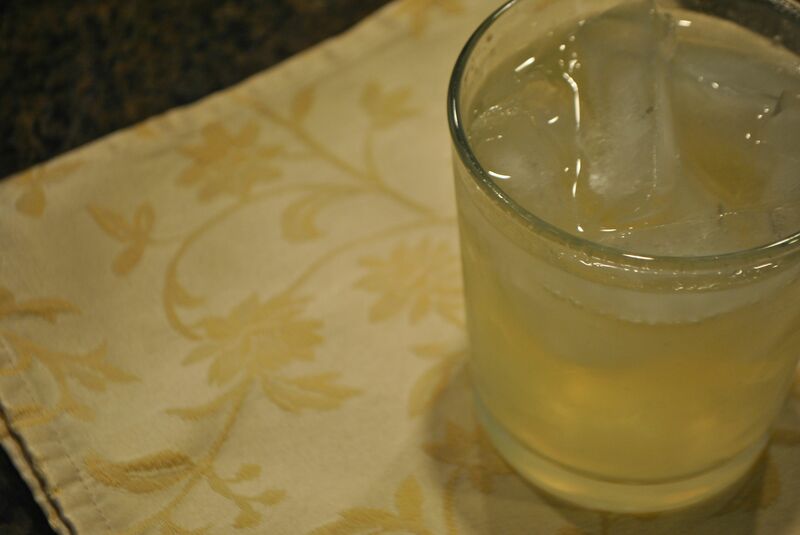 Pour in the vodka mixture and top off each drink with sparkling wine. In a small pot, combine the rhubarb and sugar with 3/4 cup water and bring to a boil. Reduce the heat to moderately low and simmer until slightly thickened and bright pink in color, about 20 minutes. Let the syrup cool then pour through a fine-mesh sieve set over a bowl. Press down gently and discard the solids. 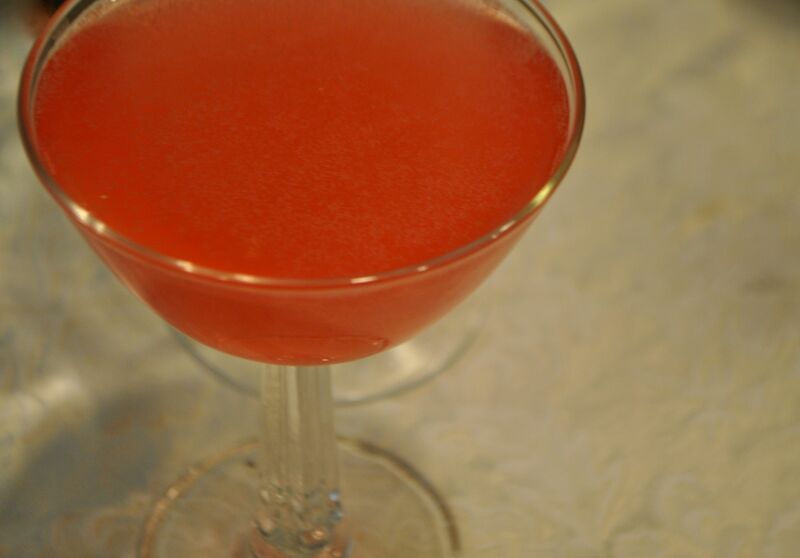 In a cocktail shaker, combine 1 ounce of the rhubarb simple syrup, with the gin and lemon juice. Fill the shaker with ice and shake vigorously until completely mixed, about 20 seconds. 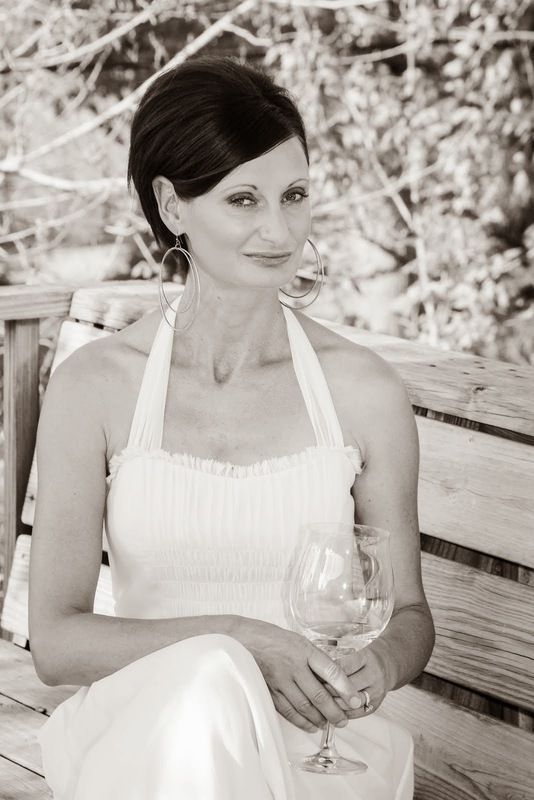 Strain into a champagne glass and top with champagne. This past weekend was such a welcome respite from the intense cold we have experienced for much of the winter, that we couldn’t wait to get outside. We traveled the short distance to Lake Fort Smith, and enjoyed the beauty of the outdoors. To distract the kids from the fact that we were hiking, we started a game where we would walk for a while, through all kinds of “hardships”, then “set up camp” – a pile of dried grass for a bed and a ring of stones for the fire. We imagined we were cooking all kinds of fabulous meals, and talked about them as if they were real – even on the way home we were still discussing which of our “foods” and “meals” were our favorites. 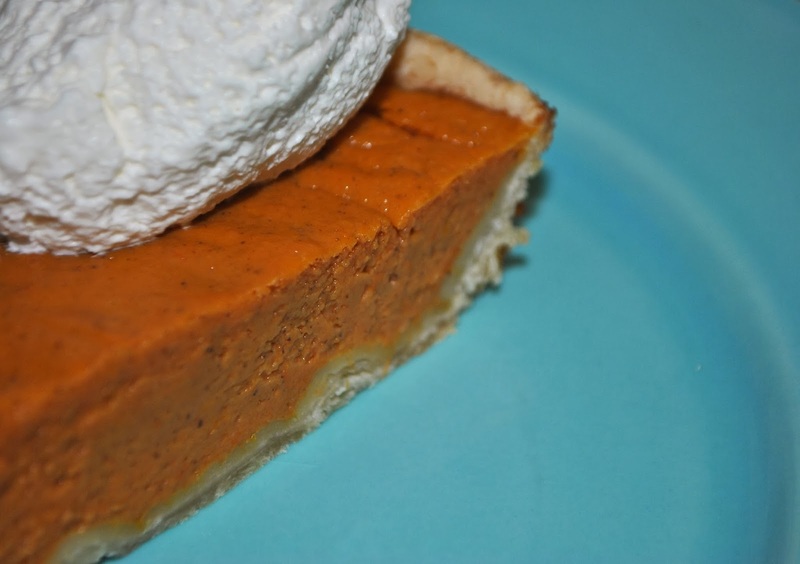 My youngest son declared he wanted real pumpkin pie, so once we were home, I made this Maple Pumpkin Pie for dessert and all fantasy aside, it was delicious. 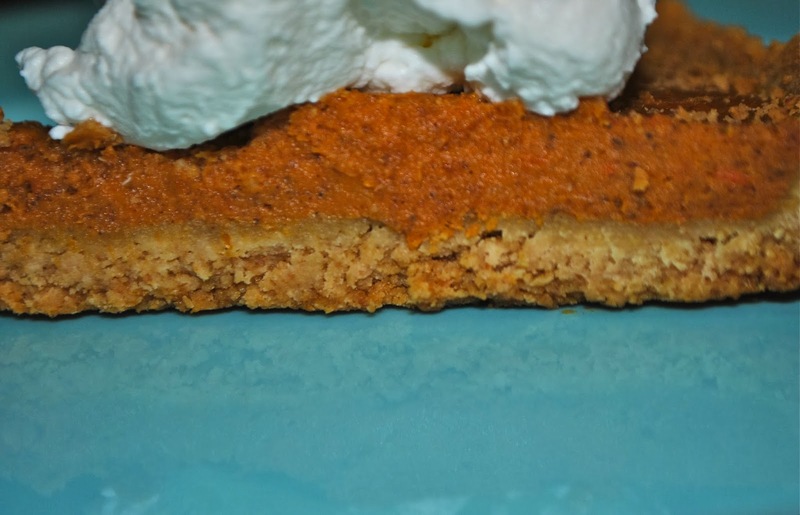 I made the Brown Sugar Pumpkin Pie over Thanksgiving, and it was every bit as yummy. Whisk 1 1/2 cups of canned pumpkin and 2 eggs to blend well in a medium bowl. Add 1 cup whole milk, 1/2 cup pure maple syrup, 1 tablespoon flour, 1 teaspoon cinnamon, 1/2 teaspoon ginger, and 1/4 teaspoon of salt, whisk to blend well. Pour the filling into a 9 inch baked pie crust. Bake pie until the center is just set, 55 to 60 minutes. 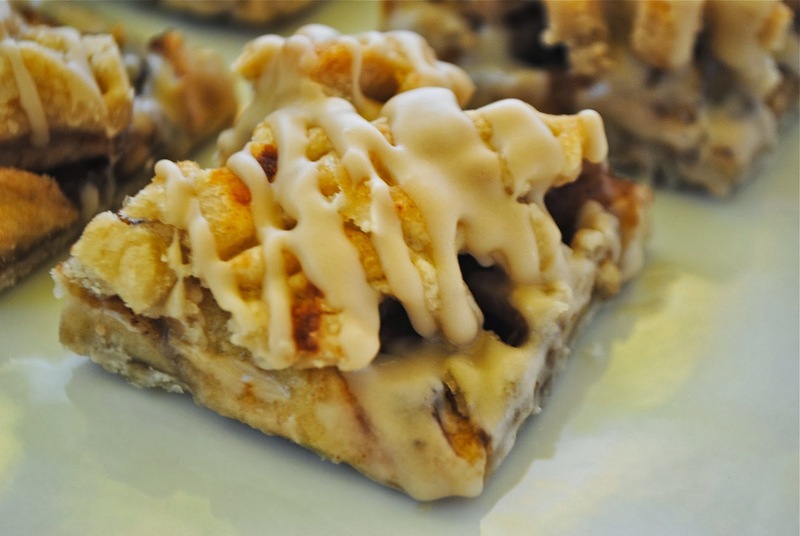 Transfer to a wire rack, let cool, served with sweetened whipped cream. Combine the pumpkin puree with the remaining ingredients in a mixing bowl, and stir until well blended. Pour into the prepared pastry and bake for 50 to 60 minutes, or until the crust is nicely browned and the custard set. Let cool before serving. A friend organized an evening out with a group of fabulous ladies, for a Holiday Boutique show. I was amused at the entry fee and the available bar, but shopping is definitely more fun with friends and a glass of chardonnay. I discovered a booth that sold spices, and was immediately entranced. Following a fascinating conversation with the owners, about food and offering suggestions of local restaurants they should try, I purchased lavender and vanilla sugar, fabulous smoked paprika, and curry powder. 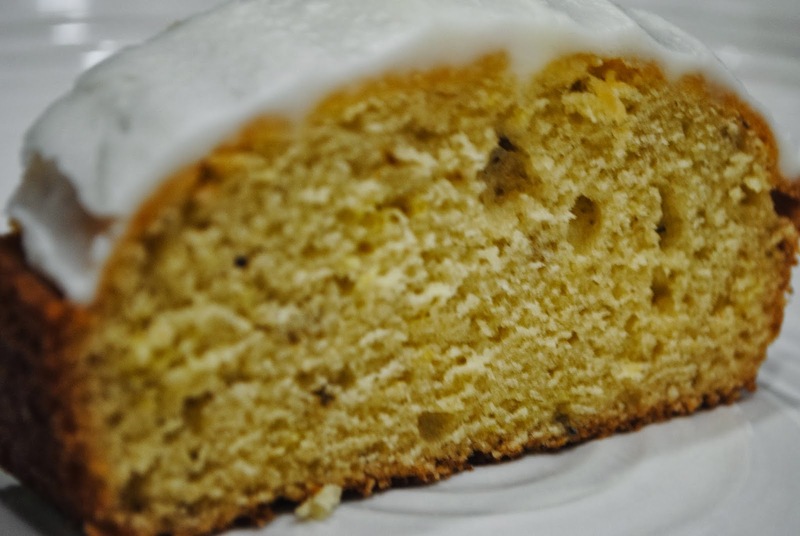 I was very excited to try the latest additions to my cooking arsenal, and baked loaves of French Lavender Pound Cake – one to keep and one to share with a friend. 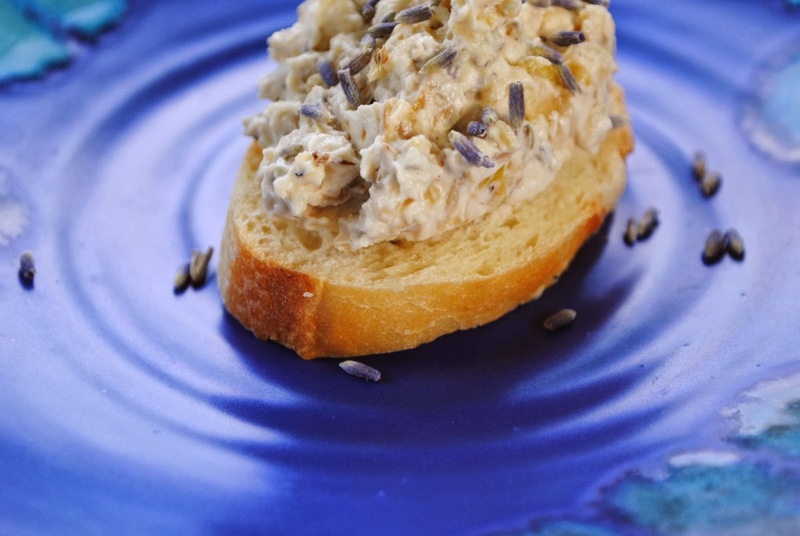 I have also shared the Blue Cheese and Onion Dip with Lavender, Lemon Lavender Bars and the Lavender Shortbread, food is also definitely more fun with friends and a glass of chardonnay. Process the lavender sugar and lavender buds in a food processor (it will be like powdered sugar). Let the eggs, 1 cup of butter and sour cream stand at room temperature for 30 minutes. Grease and flour 2 loaf tins, set aside. In a medium bowl, stir flour, baking powder, baking soda and salt. Set aside. In a large bowl, beat the lavender sugar mixture, sugar, 1 cup of butter and vanilla with mixer on high speed until light and fluffy, about 4 minutes, scraping sides frequently. Add eggs, one at a time, beating on medium speed 20 to 30 seconds after each addition. Alternately add flour mixture and sour cream to butter mixture, beating on low speed after each addition until just combined. Stir in lemon peel. Spread in pans. Bake 45 minutes. 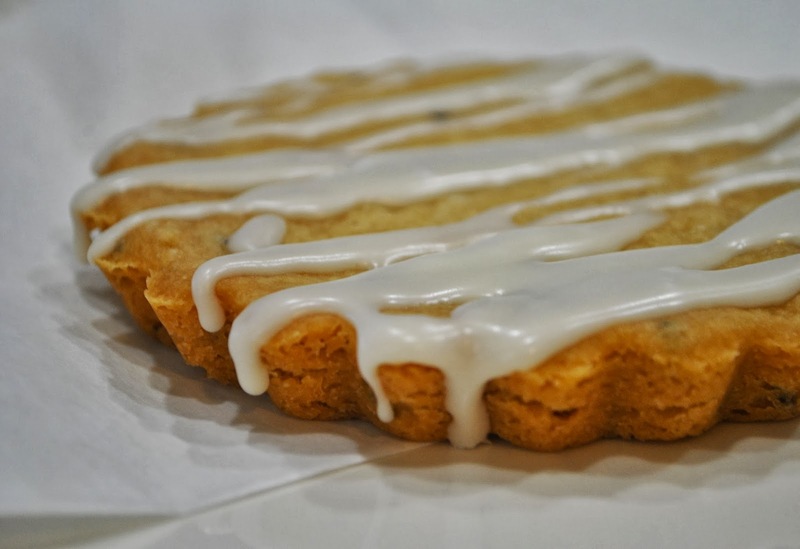 Mix powdered sugar, 1 tablespoon butter and lemon juice. Heat the olive oil and butter in a skillet, cook the leeks and onion for about 10 minutes, over medium-low heat. Add the sugar and continue to cook, stirring occasionally until browned, about 15 more minutes. Remove from the heat and cool. In a bowl, blend together the mayonnaise and sour cream. Add blue cheese, lots of black pepper and lavender. Gently combine then stir in the onion mixture. Line an 8 inch square baking pan with parchment, leaving a 2 inch overhang. In a food processor, pulse 3/4 cup flour, confectioners’ sugar, cornstarch and 1/2 teaspoon salt to combine. Add butter and lavender, and pulse until the mixture resembles coarse crumbs. Transfer the dough mixture to the prepared pan, press down to form the crust. Bake dough until set and golden brown, 20 to 25 minutes. Remove from the oven and set aside. Reduce the oven temperature to 325F. In a bowl, using an electric mixer on medium speed, beat sugar, eggs, and yolk until pale yellow. Beat in lemon juice and zest, and remaining flour and salt, until well combined. Pour filling over the still warm crust and bake until filling is set, about 20 minutes. Remove pan from oven and let cool to room temperature, then refrigerate for at least an hour. (I seem to remember the lemon bars were still a bit gooey after cooking, so they may benefit from a longer oven time). To serve, use the parchment overhang to lift the dessert from the pan. 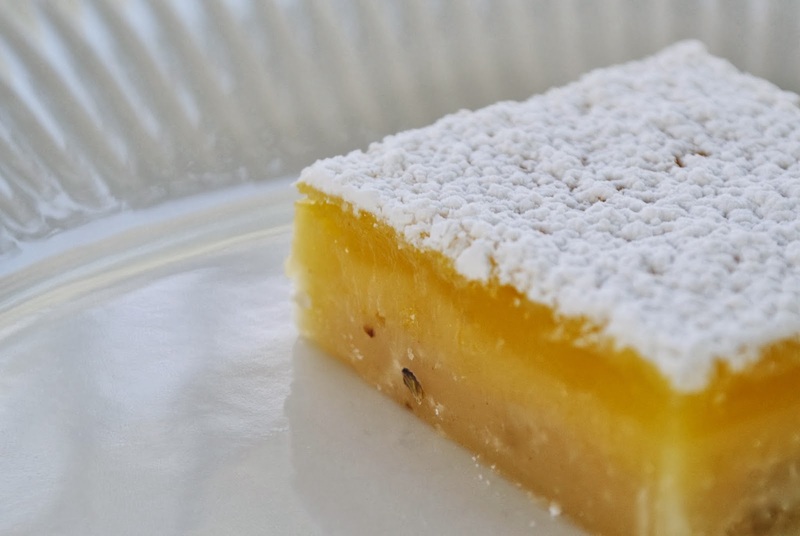 Dust the top with confectioners’ sugar and cut into squares. Mix flour, 1/3 cup of the confectioner’s sugar and cornstarch in food processor. Add butter and pulse until coarse crumbs form. Add honey, lavender and 1 teaspoon of the vanilla. Cover and pulse until the dough pulls away from the bowl. Place dough in a greased tart pan (I made half of the recipe and used two 4 1/2 inch tart pans). Press the top to form a smooth, even layer. Pierce the dough with a fork (I forgot to do this). Bake for 25 to 30 minutes (I baked my smaller ones for 20 minutes). Place the pan on a wire rack to cool. Mix the remaining confectioner’s sugar, vanilla and cream in a small bowl, until well blended and smooth. Drizzle over the cooled shortbread. 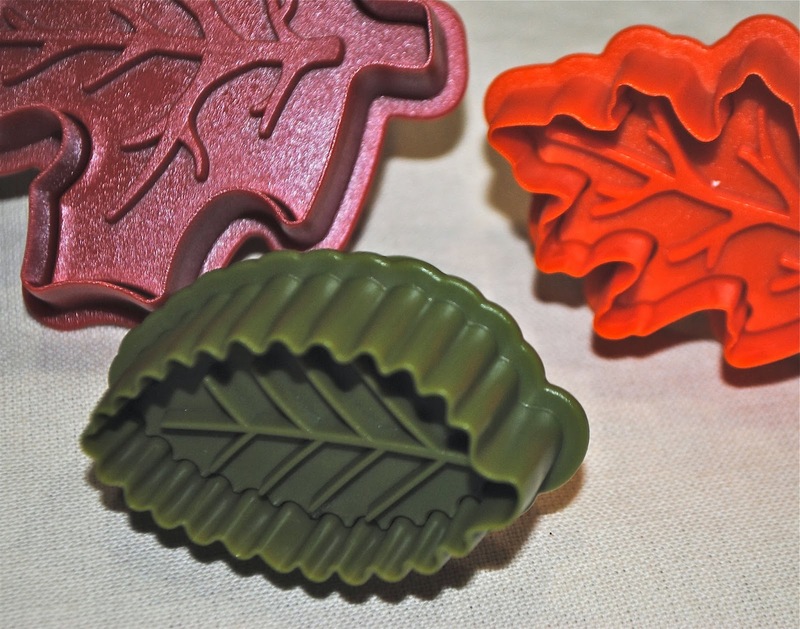 A friend graciously let me borrow her set of leaf cookie cutters, which I needed for baking, then she thoughtfully and generously ordered me my own set and had them delivered to my home. It was such a wonderful surprise to receive an unexpected and fun package in the mail. 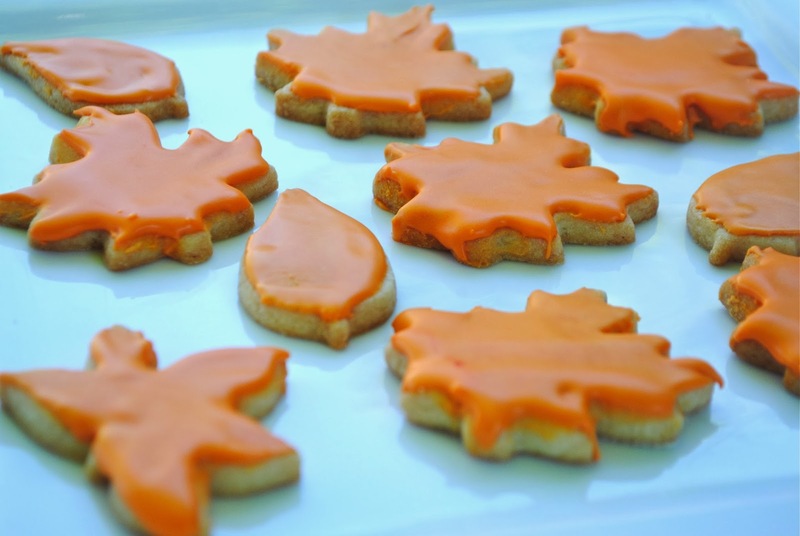 It is the perfect time of year to be baking leaf shaped delights -and my family have been taking great pleasure in my cooking experiments with the cookie cutters. In a large bowl, cream butter and sugar until light and fluffy. Beat in egg and vanilla. Combine flour and salt, gradually add to the creamed mixture. Cover and refrigerate for 1 to 2 hours until dough is easy to handle. On a lightly floured surface, roll out dough to 1/8 inch thickness. 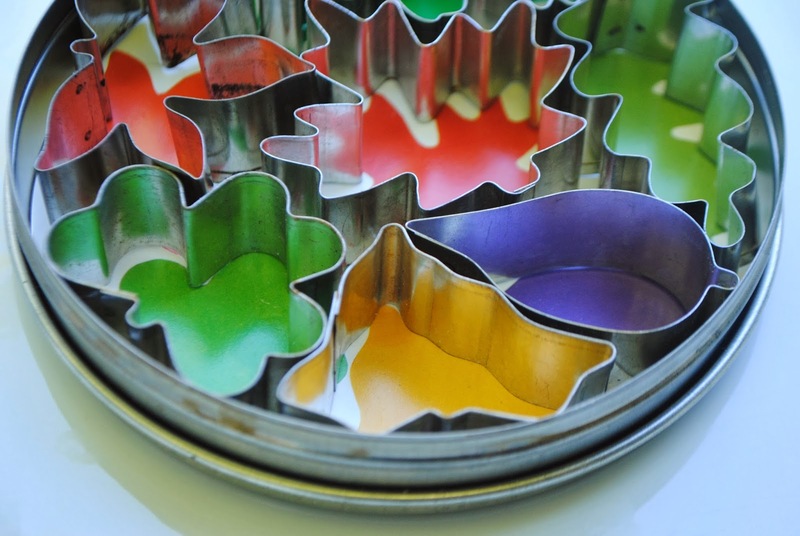 Cut with floured cookie cutters into shape of your choice. Place 1 inch apart on ungreased baking sheets. Bake at 350F for 8 to 10 minutes or until edges are lightly browned. Remove to wire racks to cool. For glaze, in a small bowl, combine confectioners’ sugar and meringue powder, stir in water until smooth. Tint with food coloring of your choice. Spread over cookies, let stand until set. In a large bowl mix the flour and salt for the pastry. 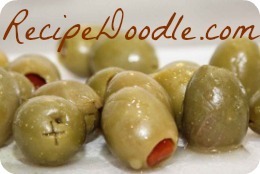 Cut in shortening until particles are the size of small peas. Sprinkle with cold water, 1 tablespoon at a time, tossing with fork until flour is moistened and pastry almost leaves side of bowl. Divide pastry in half. On a lightly floured surface, roll 1 part to fit a 9 by 9 inch baking dish, on the bottom and up the sides. In a large bowl, stir filling ingredients until mixed. Spoon evenly into pastry lined dish. Roll remaining pastry out to about a 7 by 5 inch rectangle. Cut into leaf shapes and place over apples. Bake for 15 minutes. Reduce oven temperature to 400F, bake for 20 to 30 minutes longer or until juices are bubbly and clear in the center, apples are tender and the crust is a golden brown. In a small bowl, stir frosting ingredients until thin enough to drizzle. Drizzle over top crust.